Eastern Michigan is a great state for active adults and retirees. There is sure to be the perfect 55+ community to fit your needs and wants with a diverse culture and unique neighborhoods. Active adults love the vibrant music, art and sport scene that this area has to offer. With many annual festivals, shows and historical sites, Eastern Michigan offers something for everyone. Eastern Michigan is home to many lakes and rivers providing limitless outdoor activities. But this active lifestyle doesn t end at the water with many places for 55+ residents to hunt, golf, hike or simply relax on the sandy beaches. This is the perfect place to retire with a four-season climate. Though the winters are cold, for many active adults the peace of mind of being close to friends and loved ones is well worth it. Eastern Michigan contains many desirable locations for active adults and retirees to live including places like Detroit, Ann Arbor, Flint and Lansing. Lansing is the state capital while Detroit is Michigan s first and largest city. Retirees also love living in Ann Arbor for its vibrant downtown and art scene. 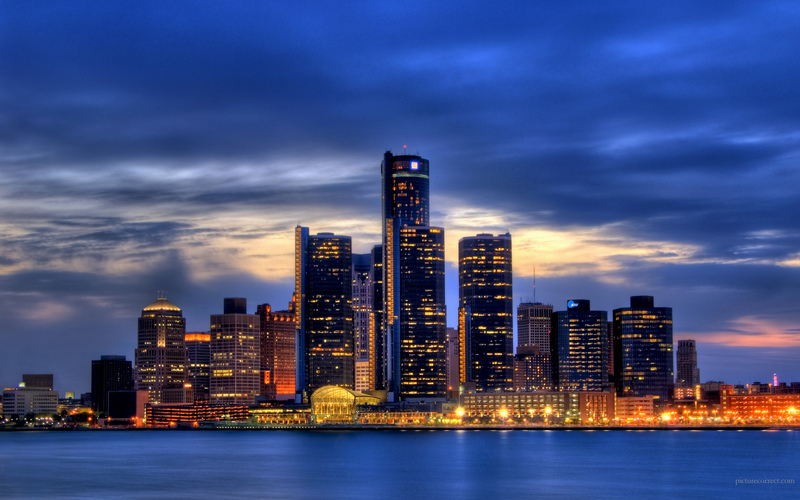 The Metro Detroit area is the tenth largest metropolitan area in the U. S. Active adult residents of this region are close to several bodies of water such as Lake St. Clair, Lake Erie and the Detroit River. The weather changes rapidly and is strongly influenced by the Great Lakes. Eastern Michigan s active adult residents experience distinct seasons with a humid continental climate. Winters are very cold and snowy, however the snow doesn t normally stay all winter long. Spring and fall tend to be enjoyable while the summer is rather short. During the summer it is normally hot and muggy and severe thunderstorms are normal. Whether you are retired or not, Eastern Michigan active adult communities can provide a suitable place to live. While the days may not be filled with relaxing by the pool and golfing like many communities across the south, residents still enjoy an active and vibrant lifestyle. This area offers many exciting options for sightseeing, nightlife, dining and shopping. Active adults and retirees love living in Eastern Michigan for its diverse culture and diverse neighborhoods from the Downtown, Midtown and New Center areas featuring historical buildings. In addition, this area is home to two of the top live music venues and is known for music, entertainment and performing arts. Eastern Michigan is also home to major television stations including ABC, FOX, CW, MBC, and CBS, to name a few. Detroit is known as the Motor City or Motown due to the fact that the manufacturing of cars mainly drives the states economy. The North American International Auto Show, Society of Automotive Engineers and the Woodward Dream Cruise are three popular events that are held annually in this area. In addition to many annual car shows there are many yearly festivals such as the Electronic Music Festival, International Jazz Festival, Dally in the Alley and Windsor-Detroit International Freedom Festival. Eastern Michigan s 55+ residents enjoy exploring the many museums in the area including the Detroit Institute of Arts, Detroit Historical Museum, Charles H. Wright Museum of African American History, Detroit Science Center, and Motown Historical Museum. Active adult sport enthusiasts will love the professional sports teams in the area such as the Detroit Tigers, Detroit Lions, and Detroit Red Wings. Whether you love art and culture, sports and nature, or shopping and dining, Eastern Michigan offers something for today's active adults and retirees. Eastern Michigan has a reasonable cost of living, especially with having a large city. Overall, it is below average to live here however, utilities tend to be higher than the national average. Active adults appreciate the low-cost housing market. There are many desirable 55+ Eastern Michigan communities that range from low-maintenance attached homes to spacious estate homes. If you still desire to work there are plenty of career opportunities with many large corporations based in the area. Michigan also offers some of the best tax deals in the United States for retired people such as state income tax exemption of private pension income that is $45,120 for single and $90,240 for those filing a joint return. Eastern Michigan s active adult residents enjoy living in the area for its great medical care. There are many high-ranking hospitals and medical centers that are easily accessible including the Detroit Medical Center, Henry Ford Hospital, Beaumont Hospital, University of Michigan Health System, and St. John Health System. The state is also home to excellent universities, teaching hospitals, and research institutions.